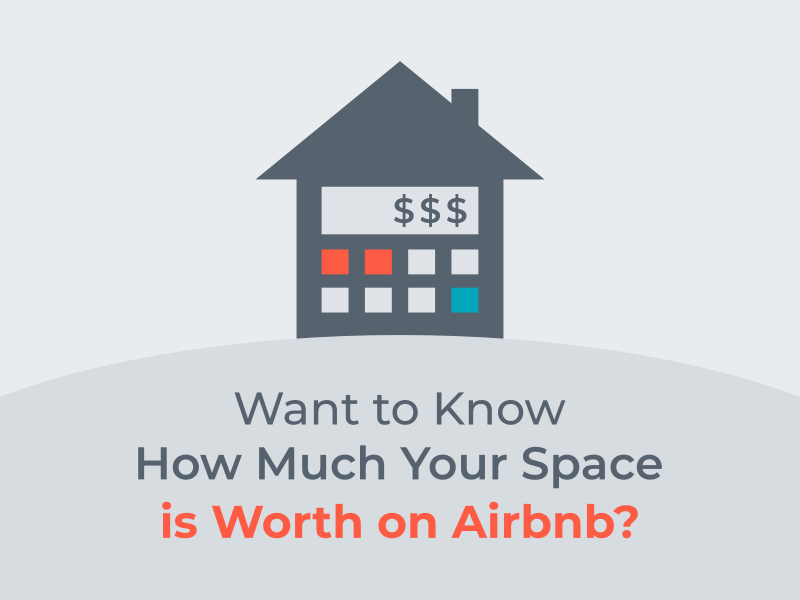 Airbnb Calculator - How Much Is Your Airbnb Space Worth? 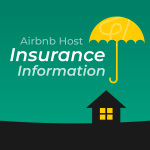 Update (10/26/17): Here’s an Airbnb calculator meant for hosts of private rooms. Update (08/19/17): I found a much, much better Airbnb revenue calculator. Is it accurate for you? Find out how much revenue you can earn with this Airbnb calculator! The Pros: It couldn’t be easier. There are only three selections: area, number of guests, and type of space. As far as I can tell, it covers the entire world. And, the data comes directly from Airbnb. The Cons: Likely over or understating your true potential revenue. As this is an estimate, it is most valuable only for an average listing in an average area. The Note: The number given is per week so multiply by four to get your monthly estimate. As an Airbnb property manager, one of the first questions asked by a host is “how much will I make?” which is such a hard question to answer and depends so much on season and skills of host or hosts manager. It’s great to point to something official from Airbnb. Please note that this estimate is extremely simplistic. It doesn’t take into account many aspects of a listing that makes it unique. Nevertheless, it says an entire home for two guests in San Francisco will earn $3,964 per month or $188 per night at 70% occupancy. This is probably about right for the average listing. However, I’ve managed entire homes for two guests that make as little as $2,000 and as much as $7,500 per month. The difference comes in location, amenities, listing optimization, size, competition, interior design and other factors. Was the Airbnb calculator accurate for you? Asking How Much Can I Earn From Airbnb? Then you’ve come to the right place. In a world where Airbnb is fast rivaling large hotel chains, boutique hotels and even hostels for affordable and unique accommodation, how do maximize your profit as a host? 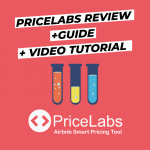 Every property is different and there is no single formula to answer the question “how much can I earn from Airbnb” but with the right industry experts, there are foolproof changes you can make to maximize your profit. Check out the single best solution to more Airbnb bookings with OptimizeMyAirbnb. How Much Can I Earn On Airbnb? – Location: Compare your property to other properties near you. Ask: How many bathrooms do you have? Bedrooms? Do you have a pool and / or outdoor space? If you have any of these things and find them rare in other accommodations near you, you can charge a higher price for your property. Similarly, your location will help you determine how much you can earn based on tourist popularity in your neighborhood. If you are close to a popular tourist spot, you can charge more. If you are further away from a tourist destination, consider marketing your property in a clever way so it is still desirable. Titles or descriptions that include “avoid the crowds”, “stay where the locals do” or “quiet neighborhood just minutes from the city center” will help you listing look comparable to properties in the immediate city center. – Time of year: How much you earn from your Airbnb property can vary greatly depending on the time off year and not just based on high-season and off-season. Are there certain festivals or holidays at a certain time of year near your property? You can charge more based on these kinds of factors. For example, if you own an apartment in Munich or Frankfort in Germany, you can charge a lot more for your space during the weeks of Oktoberfest. 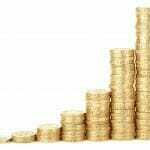 – Capacity: This is an obvious one but you may not have considered how to maximize your earnings to the fullest extent. If you have a 2 bedroom property, consider adding a sofa-couch in an extra room to be able to increase the price you charge for a one night’s stay. – Outdoor Space: One of the benefits of renting an Airbnb property is the chance to enjoy a city or country as if it is your own home. A hotel offers amenities but rarely offers your own outdoor space in which to make yourself at home. You can charge a lot more, per night, for your property if you have outdoor space to swim, grill or just relax. Apply a similar method as increasing capacity; convert your yard to a more usable outdoor space to increase the value of your rental property. Add a firepit, hammock or grill (or all three!) to expand the liveable space and invite guests to make themselves at home. Once you have identified these factors and optimized your listing to earn the most money, you will be able to charge more per night for your property and promote Airbnb listing to keep it booked as much as possible. 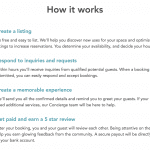 OptimizeMyAirbnb is the best tool you can use to boost your listing exposure and conversion rates, earning more money for your Airbnb property in just days. Once you apply the suggested changes from OptimizeMyAirbnb, you won’t need to ask “how much can I earn with Airbnb” again. Photos: Are your photos the right size and clarity to draw the reader in? Do they sell have the right “selling power”? Are there enough to adequately display the property? Title: Is your title attention-grabbing and descriptive enough to convert potential guests? Does your title give the best description of your property? Reviews: Are there patterns in your guest reviews that you can use to your advantage? 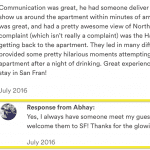 How can you react to reviews to show potential guests you are responsive and attentive to guest suggestions? How can you spin a negative review or at least reduce its impact? Profile: Did you know your profile is the most underutilized tool to increase booking rates? How can you improve your transparency as a host and improve the trust that guests put in you as a result of your profile’s detail? Summary/Description: Do your summary and descriptions adequately describe your property? Is your summary brief but attention grabbing enough? Is your description detailed enough? Pricing: How can you optimize your space to increase pricing OR lower your price for higher booked days? Which would work best for your particular property? Miscellaneous Tips: How can your account settings be adjusted to optimize conversion? Are your discount prices, extra person fees, security deposits and other seemingly small settings set to the optimum details? 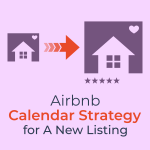 The OptimizeMyAirbnb difference is simple: submit your property listing URL, let the 42-point checklist be run and wait for the results and subsequent suggestions. Depending on what level host you are, you can get your results in as little as twenty-four hours. The cost of the optimization report is adjusted to your host level as well, making it affordable for everyone. It’s as easy as that to be more successful at keeping your Airbnb property booked solid, making more money overall, no matter what season it is. Your property’s SEO will increase, your property will be displayed to more relevant, valuable guests and you won’t have be asking how much can I earn from Airbnb again. Purchase an optimization report from Optimize Airbnb today and be days away from earning more for your property!